PhantomJS is an open-source scripted browser that can be used to interact with web pages and produce high quality website screenshots. PhantomJS is based on WebKit so you can get results very close to Safari and Google Chrome. It is completely free and distributed under the BSD license. PhantomJS can be installed on a Linux system like Ubuntu server. Before installing, make sure you have access to a sudo user. Also, you will need some packages installed on your system (pre-requisites). In Ubuntu, you can install them using the apt-get tool. Make sure to use sudo. Next, decompress the archive into the desired location. You can now create a symlink to the PhantomJS binary file so it can be accessed easily from your system. 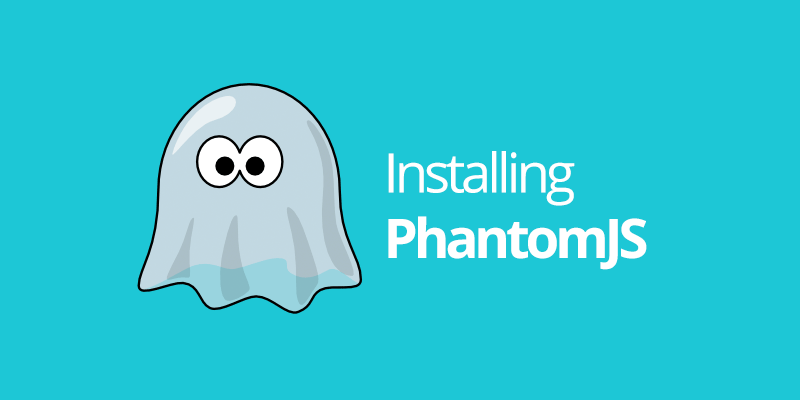 Now, PhantomJS is successfully installed on your system. If you want to check it, you can verify the installed version of PhantomJS running phantomjs --version.